53 Weeks March Giveaway: WIN This Stuff! What’s Up with the Thrush? I am so excited to announce my FIRST EVER giveaway on 53 Weeks! 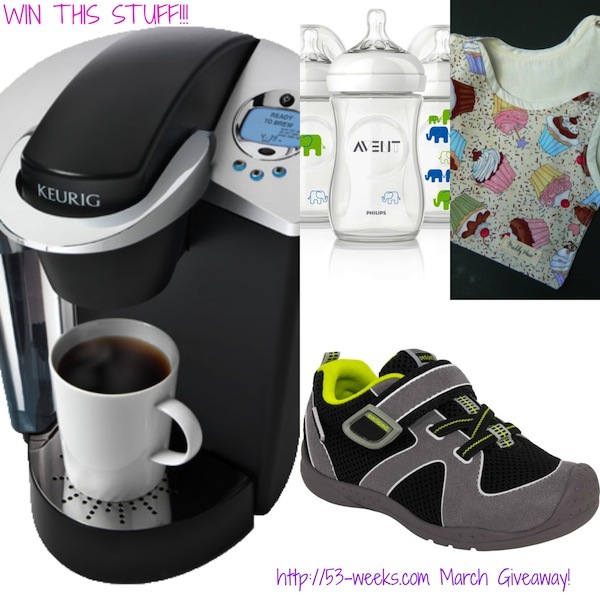 The March giveaway features 4 exciting products reviewed on the blog this month, and now, you could be the BIG winner! And — this is what you need to do to win (MUST COMPLETE EACH STEP)! Fill out the official GIVEAWAY form below. Comment on at least one of the (4) posts linked above for each product and tell 53 Weeks how you would put the item to use! One winner will be chosen at random when the giveaway ends on Monday, 3/31 at 5pm EST.